If you were a high school student and you had to choose a university, what that would be? We asked well-known Slovak and Czech scientists why it is worth studying science and technology. Why study science and technology? The answer to this question is not easy. If you were a high school student and should choose a university, what would be your answer? Would you go? If your answer is “No“, then you do not even stand out of the Slovak average. While up to one third of primary and secondary school students are interested in technical sciences (engineering, electrical engineering, construction), only close to 14 % want to study technical sciences. Similarly it is also with the natural sciences (physics, chemistry, biology): they are interesting for almost one quarter of the young population, but only every eighth student would choose them as their field of study at the university. This is based on an empirical survey conducted by the Centre of Scientific and Technical Information of the SR (CVTI SR) on a sample of 1,998 respondents from 2015 (last data available). When we also look at the groups of study fields, where they have the most applicants in Slovakia, then according to the CVTI statistics in 2017 prevailed the economic sciences, followed by non-medical health and educational sciences. Only in the seventh place the first “technologies“ come in, that is information technology and communication technology. Mechanical engineering is on the ninth place and electrical engineering on the tenth. There are many popularizing activities in Slovakia that are to encourage the interest of young people in science and technology. For example, Slovenske elektrarne support the Week of Science and Technology (and the Science Festival), it actively participates in the European Researchers Night or recognize the authors of diploma thesis. One of the popularizing activities – but also popular among the young people – are Science Talks. We managed to contact scientists, who already talked at these Science Talks. They are young, smart and talk about science in an interesting way. 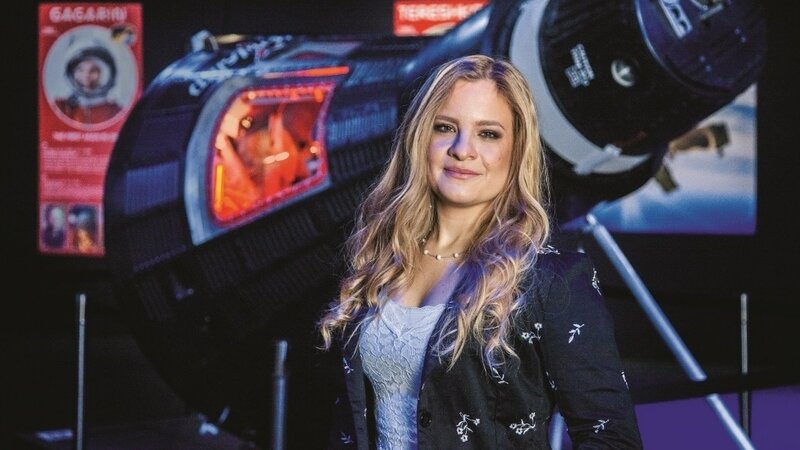 Michaela Musilova is devoted to astrobiology – the search for life in space – and particularly interested in extremophiles, which are organisms that can survive in extremely harsh conditions. Two years ago, Microsoft published results of survey conducted among schoolgirls from eleven countries including Slovakia. More than 45 % of girls from primary schools in Slovakia can imagine having a career in science and technology. However, they lack support of their closest – especially from parents and teachers. Unfortunately, Michaela had a similar experience. “Teachers did not support me. I even felt that they did not believe that I could do it , because I was not a grinder.“ Although at the high school she was more of a rebellious girl listening to the metal, later she – out of spite – strived for excellent marks on graduation – which she managed. Inner motivation and endurance are important. His story is a living proof of how much our childhood affects our direction in life. With Michal Zajaček it started “innocently“ – with interest in what is happening in the sky. Later, under a Christmas tree he found a small astronomical telescope. This started his first childhood “discoveries“: the details of craters and mountains on the Moon, Jupiter´s moons, binary stars. This was complemented with “romance“: the silence and darkness of the night landscape. After successfully defending his dissertation thesis in October 2017, he continues in the Max Planck Society in Bonn as postdoctoral staff member. He examines the fast and narrow spurts of matter from the galaxy´s nuclei, the so called jets. According to a Slovak scientist working in Germany, both types of research are important for the society – basic and applied. Take a rest because a tired brain can’t be creative. She comes from Zlin, graduated from high school in Scotland, physics at Imperial College London. After that she achieved a doctorate degree at Oxford University, where she also taught. Then she accepted an offer from Los Alamos National Laboratory in the US. We can add to her CV work in Prague, where she helped develop experiments for the world´s most powerful laser. The story of Kateřina Falk may sound too perfect and seamless, but in reality it is not. Katka is a dyslexic, she has overcome two stages of burnout during her doctorate study and she had to work hard for it. In addition, she had to combine her career with motherhood. And in today´s hilarious time she gives unusual advice: indulge yourself with rest, because tired brain cannot be creative. 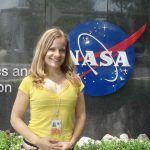 At the moment she works as a young leader for research at the Helmholtz-Zentrum in Dresden and is also interested in the opportunity to finally putting into operation a fusion power plant. All “big‘ discoveries stand on the ant hill of “small‘ pieces of knowledge. Ondrej Bajza is an innovator with his body and soul. He graduated from Secondary Technical School – construction- in Žilina and wooden constructions at Faculty of Wood Technology, Technical University in Zvolen. Young people are advised to start working or doing business already during school. 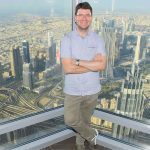 Although Ondrej´s case was not about lasers or nuclear fusion, but as a doctoral student he devoted himself to quality of construction timber, he could write a better dissertation thesis and produce higher quality products. Thanks to good theory, but also thanks to practical experience he has gained in his own business. Science will not work without people nor will people without science. READ MORE: Did Igor make a mistake? 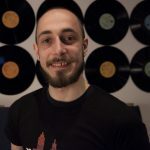 “Sometimes it is difficult to motivate young people, but if we see potential in someone, it is our social duty to develop it”, says Igor Žovtik, a native of Eastern Slovakia, who took part in the international I-SWEEP competition with his snail robot. “Snail was a very special invention. Its task was to overcome difficult ascents and measure values as needed. It carried more control units, which allowed him to make independent measurements and at the same time move in a rough terrain. It was able to learn and analyse its surroundings on the way. Also thanks to this, no terrain was impossible for it,“ says Igor, who was already a science fiction fan as a small boy, while robots were not missing, in any movie, of course. Robotics became his childhood dream. During University studies he also became more interested in energy, especially alternative sources of energy. Igor went to study university to fulfil his childhood dream, but his motivation was also something else – to do something extra. Today he no longer works as a scientist. “I gave up at a certain age. Maybe I made a mistake and will regret it one day, but I feel OK right now. Now I am interested more in social science. In my opinion, technology is much wiser than man, and that´s a mistake. Of course, I am not going to do a promotion now and persuade people to stop devoting themselves to technology. But I feel more useful to the society in humanities,“ Igor says. Are you interested in nuclear energy? Study it! Don´t worry! We will teach you everything. Just fill the application! If you are interested in studying nuclear and physical engineering at the Faculty of Electrical Engineering and Informatics of the Slovak University of Technology in Bratislava, it is necessary to apply. Author Matúš Demko gives his thanks not only to interviewed scientists but also to Mr Juraj Kopřiva, editor of Nuclear.sk, a leading Slovak online publication on nuclear power and science. 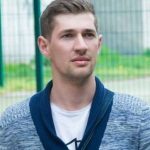 Ďalší článokVladimír Slugeň: Koľko absolventov VŠ potrebuje slovenský jadrový priemysel?